Anne Gray is the Projects Officer of the Council of Bishops of The Society. Wife of a parish priest in rural East Anglia, she was for many years a full-time mother and educated their five children at home until they reached secondary school age. She then read for a Law degree at the University of Essex and studied for the Bar Vocational Course at BPP Law School, London. Called to the Bar by Gray’s Inn in 2005, she practised as a barrister until 2014, specialising in Crime, Common Law and Licensing. She is a member of the Honourable Society of Gray’s Inn and the Ecclesiastical Law Society. With her husband Philip, Anne is co-author of A Walsingham Rosary (Canterbury Press, 2014), which she also illustrated. She is a Trustee of The Guild of All Souls, of which she has been a Council member since 2001, and is also a member of the Patronage and Chapel Committees. She is particularly involved in promoting the bereavement ministry of The Guild through publications and day conferences. 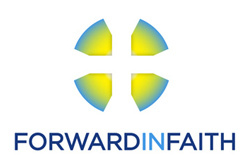 From October 2014 to October 2015 Anne served as Forward in Faith's Elections Officer, co-ordinating the 2015 General Synod elections campaign on behalf of Forward in Faith and the Catholic Group in General Synod. In January 2016 she took up a new post with Forward in Faith as Projects Officer for the Council of Bishops of The Society.